Financial institutions’ clients go less than twice a week to the branch or a physical location of their institution. According to a March 2017 study published in The Financial Brand, the millennials moves themselves due to their financial institution 1.9 times on average per month. 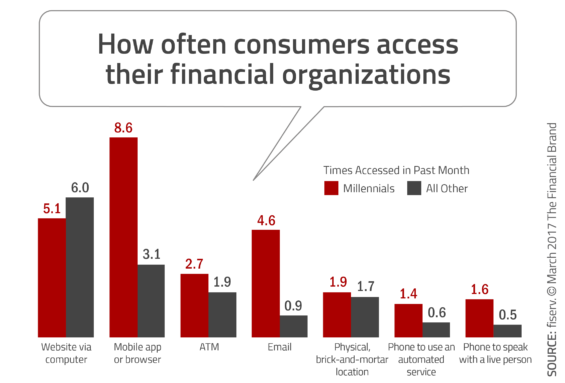 When from Bankingly we conducted the study ‘What financial institutions do millennials want’ we found that more than 50% of them did not want to go more than once a month to the branch or an ATM. There is a difference between what happens today and its desire of moving less. In August 2018 we conducted an extensive study on the use of our digital channels of all financial institutions that rely on our technology. Savings and credit cooperatives and banks in Mexico, the United Kingdom, Ecuador, Costa Rica, the Dominican Republic, Bolivia, Peru and Uruguay use our technology to serve their clients and associates. Users of our digital channels logged into the mobile app or the web channel on average once every 3 days. This means that financial institutions that saw how people want to go less and less to their branches, received each person on average 10 times a month in their digital branch. This is a clear example of assiduity, convenience and ease of use. This increase of at least 5 times in the interaction between people and financial institutions generates great opportunities for both parties. For the former it means a significant improvement in the experience without losing time in lines or in traffic. While for institutions, lowering the access barrier increases the possibility of offering more products per user, provides more usage information and savings of more than 20 times the transaction cost. 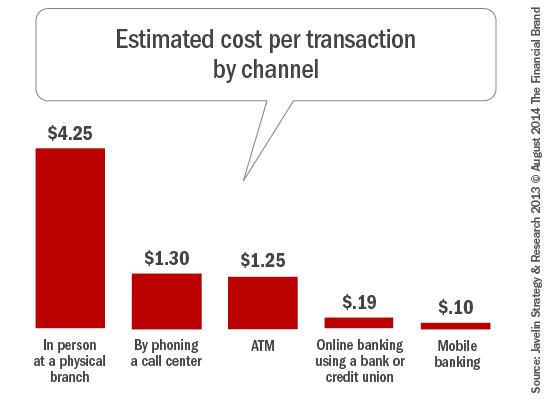 According to a study by The Financial Brand, the cost per transaction in a physical location is USD4.25 and the cost in the online web channel is USD0.19 while from the mobile app it is USD0.10. These numbers mean transforming a forced relationship that used to depend on forcing people to go to a branch into a new stronger relationship in which the value exchanged between financial institution and people increases. From Bankingly we want to empower financial institutions so they can help their associates and clients to have a better financial health. We believe that technology is a key tool to achieve this goal. These results are good but they can still be improved, in we are working for that.